Modus helps to beat the burglars. Cleveland-based H Jarvis has become the first Eurocell fabricator to gain Secured by Design on the innovative new Modus profile system. The 130-year old company successfully gained Secured by Design certification to PAS 24:2012. Modus outward opening top hung and side hung casement, plus fully reversible windows, fabricated by H Jarvis, are now available to Secured by Design specification. In terms of doors made using the Modus profile system, the company’s inward and outward opening fully glazed double leaf French doorsets also meet Secured by Design. H Jarvis also holds Secured by Design certification on the Eurocell Eurologik window and door profile system. PAS 24:2012 is the highest industry standard set by BSI as a method of assessing the level of security. Only window and door products that achieve this standard meet the Police preferred specification ‘Secured by Design’. "We were initially attracted to Modus because it looked so different to all the other sculptured and ovolo window profile systems currently in the market." 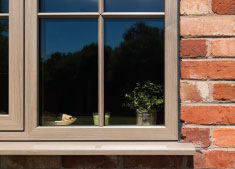 Modus is the UK’s first fully integrated window and door system, available with three stunning sash design options. For companies looking for efficiencies it allows eight different types of windows and doors to be produced from a single system – a major advance in fabrication efficiency. 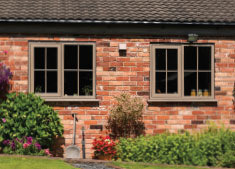 The profiles are available with 28mm and 44mm bead options, giving H Jarvis customers a choice of both double and triple glazed Secured by Design Modus windows. The triple glazed option achieves a U-value as low as 0.7 with a triple glazed unit and a 1.1 U-value achievable from double-glazed units. The timing of this certification on Modus is perfect as the new Approved Document Q takes effect from 1 October 2015. This new addition to the Building Regulations considers that the standard for security on windows and doors should be based on the provisions of British Standard PAS 24. This is a well-established industry standard with a proven track record. PAS 24 sets standards for door and window assemblies including tests and specifications for locks as well as the robustness of the doors and window themselves. Part Q states that the building must be designed and constructed in such a way that it adequately resists both unauthorised access from outside the building; and unauthorised access from within the building to flats within the building. Windows and doorsets demonstrating compliance with the police ‘Secured by Design’ initiative will also meet the provisions of Approved Document Q.